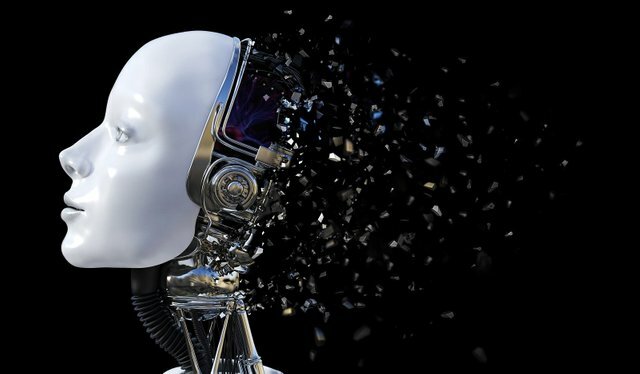 Debate over the risk and promise of Artificial Intelligence (AI) and other technologies can be depressingly simplistic, often polarised into two camps with views that are extreme to the point of caricature. On the one hand we have those whose understanding of AI seems to have been predominantly informed by 1980s movies like The Terminator and Wargames, in which killer AI is bent on the destruction of the human race. At the other end of the spectrum we have those who seem to believe that AI can do harm, and that left unregulated it will lead to a risk-free cornucopia of rainbows and unicorns. There are highly intelligent people who attempt to explore the middle ground, but they often have a tendency to get side-tracked by extremely obscure academic tangents which are of course largely ignored by significant players such as the military, companies fulfilling lucrative contracts for the military, and indeed small-medium companies working on applications which don’t resemble traditional conceptions of AI or robotics. Across the entire field of AI/technology risk, there is a dangerous myopia at work. Perhaps you have heard of the Netflix series “Black Mirror”, written by UK media personality, gaming enthusiast and Noir-Futurist Charlie Brooker. The show is a collection of separate stories, one per episode, connected only by a common theme of dangers arising from the collision between society, human nature, and accelerating technological development. Black Mirror does a remarkable job of addressing the most subtle – and yet most likely – area of risk from new tech, which is also the very same area missed by almost all serious researchers of the issue. “Serious” researchers discuss headline “existential risk” issues such as the possibility of intelligent industrial processes accidentally destroying humanity, which is certainly something to think about and guard against. The subtler kind of problem explored by Black Mirror is technology’s amplification not only of communication and efficacy, but of all the human flaws and fragilities which have historically caused much suffering. I’ve put the word “serious” in quotes above because Black Mirror manages to explore very important ethical, social, and public safety issues in an entertainment format. Being a fiction-based TV show does not exclude it from the realm of serious discourse, and public communication of serious concerns. For example, the show has covered the ethics of torturing simulated minds (not to mention slavery of those minds), problems that arise when emotional humans can remember and perceive things we would naturally forget or miss, and so on. It doesn’t take much thought to see that these issues can rapidly escalate from minor nuisances to very serious problems, and that is what Black Mirror does so well. We just shouldn’t be leaving that conversation entirely to the realm of popular entertainment (and eventually, politicians with little or no understanding of the issues). Of course we live in a world with the beginnings of such problems, already. Our society is governed according to a democratic ideal, and yet platforms such as Facebook play an increasing large role in people’s lives while not only controlling their lives via non-democratic, implicit rules and schemes, but also while free to change those rules without warning, and increasingly subjecting such changes to automation and experimentation without consent. That is a very slippery slope, and we’ve been sliding down it for some time, now. So yes, rogue military AI may be a concern, and industrial processes run amok are a threat to be guarded against. The bigger, more likely and more subtle threat, however, is from AI and other tech which doesn’t try to kill humanity outright but which amplifies our worst tendencies. Guarding against such a threat will be hard, as it is already with us to some degree, and “Friendly” AI is not the answer (or at least not the whole answer). What we need is a general ethical vision for society, or at least some simple guidelines on what is or isn’t acceptable which can inform lawmakers. In the absence of properly observed guidelines, everything that can happen, will happen. We already know that killer robots are a bad idea, and yet society doesn’t seem particularly determined to stop the development. How many bigger, less visible problems await us which we cannot even properly conceive yet, and so are all the more likely to fully mature in the darkness of our ignorance? In this era of rapidly developing high technology, our society can become anything it is sufficiently determined to be, and that is an incredible thing. But the inverse is also true, and Murphy’s Law holds: In this age of apparent impossibilities become commonplace, every possible development we don’t guard against will come to pass, in one way or another. Finally, now, humanity must grow up and take charge of its own boundaries and priorities, as all children eventually must. This post has received a 0.85 % upvote from @booster thanks to: @mark-waser.